Create a custom Login page in Salesforce CRM using Visualforce. I can create a custom Login page so the Contacts in your Salesforce system can login through Force.com site. Contact object will store the username and password in custom fields. You must have Enterprise or Unlimited Edition for this feature. This page will only contain Login and Forgot Password features as shown in the image. The UI will be as simple as shown in the image. The user or contact will be redirected to some other page/url when clicked on Login button. The user/contact will receive the password via email when clicked on Receive Password button. This custom login page will allow the Contacts to login and see any information you want using Visualforce and Force.com site features in Salesforce CRM. I only need Salesforce Account Access. I have experience in integration with Facebook, Twitter, LinkedIn, Pinterest, Google Analytics, Google maps etc. I also have experience in PHP programming, integrating website forms with Salesforce CRM, sending email alerts when a leads sign up through PHP. I can also create PHP websites. 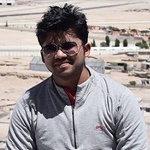 Visit www.gaurishgoel.com to see my Salesforce Blog.